Ophthalmology addresses the physiology, anatomy and diseases of the eyes. Pediatric ophthalmology focuses on the eyes of children. Pediatric ophthalmologists examine children’s eyes to see if they need corrective lenses or other treatments to improve their vision. Pediatric ophthalmologists graduate from medical school just like other types of doctors, but they decide to specialize in children’s eye health. 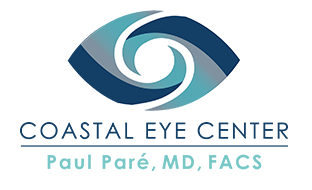 In addition to studying about the structure and disorders of the eyes, these specialists undergo additional training in examining children. They go to extra lengths to make sure that children feel safe and comfortable within the medical setting and with the sensitive proceedings of an eye exam. Vision develops neurologically until a child is about 12 years old. Early detection of problems can make them easier to solve during these crucial years of growth. For example, diagnosing and treating strabismus — commonly known as being cross-eyed — in a young child ensures she has the best chance of developing and maintaining good vision. 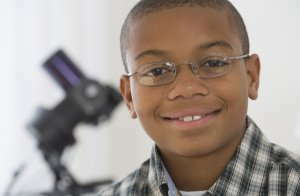 Nearsighted children will do better in school once they have glasses. Pediatric ophthalmologists also address diseases elsewhere in the body that affect children’s eyes. Expect your first visit to be longer than your average doctor’s appointment. Allow at least 90 minutes for a thorough exam. If the pediatric ophthalmologist orders special testing, the appointment could take even longer. The doctor will ask about your child’s health history and any eye-related concerns you might have. Be sure to bring your insurance information and a list of any medications your child takes. Notify the doctor of any allergies. Pediatric ophthalmologists have different ways of testing children’s eye health, depending on their ages. These may include looking at pictures and reading eye charts. The doctor will check each eye separately as well as both together, and test muscle function around the eyes. Expect the ophthalmologist to use an ophthalmoscope, an instrument that shines a powerful light into the eyes. Your child’s eyes will probably be dilated with eye drops so the doctor can check how the pupils react to light, and to measure the eye’s focusing system. These drops can sting and cause blurry vision. Reassure your child that this is temporary, and necessary to let they doctor see inside his or her eyes. Once testing is through, your pediatric ophthalmologist will recommend treatment, if needed. This could include exercises, glasses, medications or surgery. Pediatricians and family doctors should check children’s vision as a routine part of an examination. If a doctor has referred your child to a pediatric ophthalmologist, call us today so we can optimize your child’s developing vision.